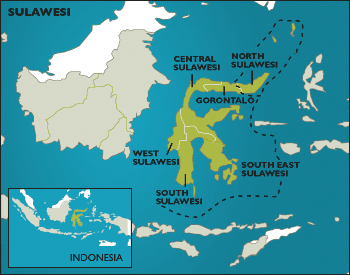 A bitter dispute between the Lore Lindu National Park authorities in Central Sulawesi and local communities has resulted in the deaths of a local man and a forest ranger. On 8th October, a forest patrol clashed with illegal loggers near Kalukubula. A local man was shot dead by a forest ranger and a ranger suffered serious knife wounds in the incident. The following day, hundreds of Dongi-dongi people burnt a park information office, rangers' posts and park staff housing. The prospect of widespread planting of genetically modified crops in Indonesia is causing alarm. In September, 72 Indonesian NGOs grouped under the NGO Coalition for Biosafety and Food Safety lost their legal challenge against the Indonesian minister for agriculture, Bungaran Saragih, and PT Monagro, the Indonesian subsidiary of US-based biotechnology multinational, Monsanto. The NGO court case was aimed at annulling an agriculture ministry decree issued February 2001 (No.